The Aventine® spa has been specially-designed for small spaces and fits exceptionally well in a corner. 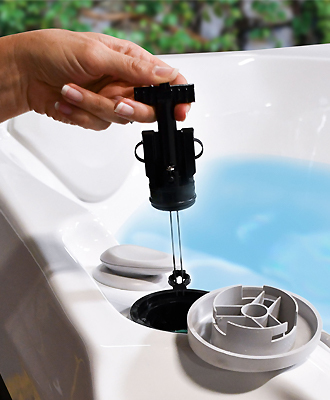 So tuck it away and enjoy a wonderful hydromassage® experience in this portable 2 person hot tub. Aventine is a wonderful spa. 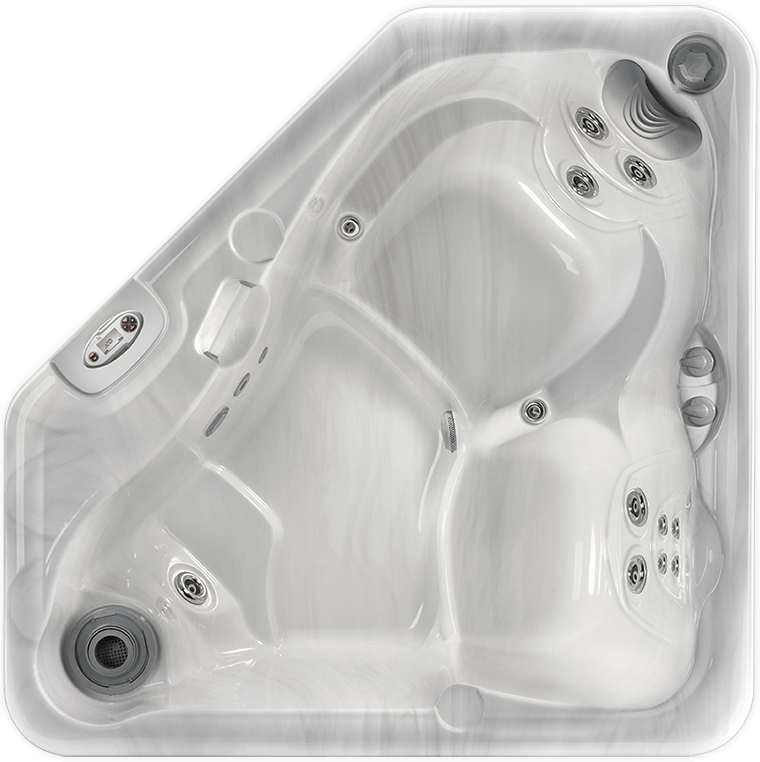 We are very happy how easy it is to use and maintain the Aventine and we would recommend it to any one who is looking for a hot tub for two. At 71 years young this spa is a life saver. I get in it right after I wake up each morning and it loosens up my aching muscles and joints so I can go out and shoot a money winning round of golf. This is the second Hot Springs spa we have owned and would definitely purchase another one. 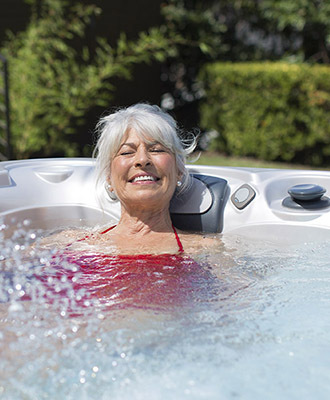 We would recommend Hot Spring spas to anyone who talks about purchasing a spa. ***Maybe field converted for 230V/50 amp operation. 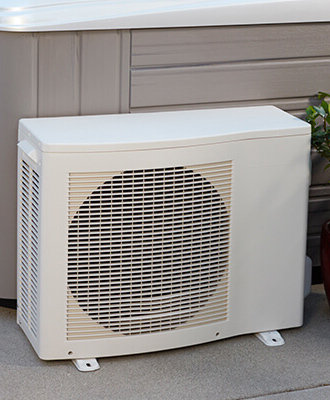 This allows heater to operate during low or high-speed pump operation. Requires optional 230v/50 amp GFCI sub-panel.